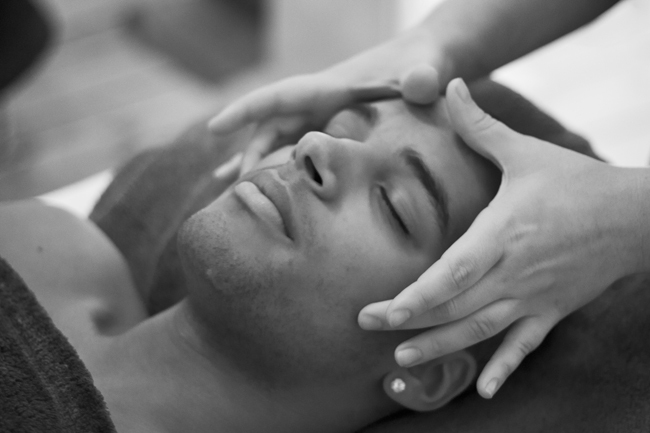 Indian head massage is a treatment that has been practised for over a thousand years. In Indian society a lot of focus is put upon the bodies ‘chakras’. There are seven main chakras (energy wheels which link to our physical body). It is suggested strongly that if there is a blockage in the chakra it can cause illness. Indian Head Massage works on the higher chakra, perhaps (in relation to western concept) these chakras would be linked to our endocrine system which governs the “controlling” hormones within our bodies. The main intent is to open up the blockages and to allow the positive energy to flow through the entire body and, in the process, get rid of negative energy. This Massage was also developed as a grooming technique to strengthen and improve the fullness of the hair. This is achieved by stimulation of the pressure points on the scalp.